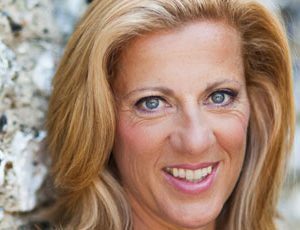 Keynote Speaker Sally Gunnell is a well known and truly loved British Athlete. She has an inspirational story which encourages audiences to be better versions of themselves both physically and mentally. Sally is extremely popular in the UK. She is one of Britain’s most popular sportswomen. She is the only woman in history to simultaneously hold all four available major track titles plus the 400 metres hurdles world record! Her career on and off the track provides a unique recipe for achieving a balance of life, success and fulfilment. During her career she and her team have adopted key principles and routines which have delivered the types of results most people can only dream of. Sally became part of the BBC Sport team and was a regular fixture on Athletics programmes until 2006. She interviewed athletes on the finish line and brought the trackside atmosphere into the living rooms of millions of viewers across the UK. She has appeared in a number of TV shows including A Question of Sport and Total Wipeout. She is a regular on the Breakfast News sofas and each year she conducts hundreds of radio interviews. Today, Sally is on a mission to promote health and well-being for everybody in the UK. She passionately supports a variety of initiatives that encourage families to be more active. Her work also brings her into the corporate world where she helps companies bring health and well-being in to the workplace. This task reiterates her formidable reputation as an influencer at all levels, including the highest levels of business. In addition to being a champion for ‘Getting Families Active’ and being a mother of 3, one of Sally’s key roles is motivational/inspirational speaking. Sally’s versatility and personality allows a personal connection with her audience. Sally has a relaxed but professional approach, which makes her an ideal choice to host special events such as corporate award ceremonies to school graduations. Sally always speaks candidly to her audiences, sharing her experiences and knowledge aimed at getting the best from yourself. People have said that they find her story inspiring, not just because of her achievements, but because they feel that they, too, are inspired to go out and achieve more in life.